Special rates have been secured for participants at the below hotels. You can book your accommodation at these rates through the online registration system. The room rate includes overnight, buffet style breakfast, insurance, city tax, in door parking lot, fitness center and indoor swimming pool, free Wi Fi connection. 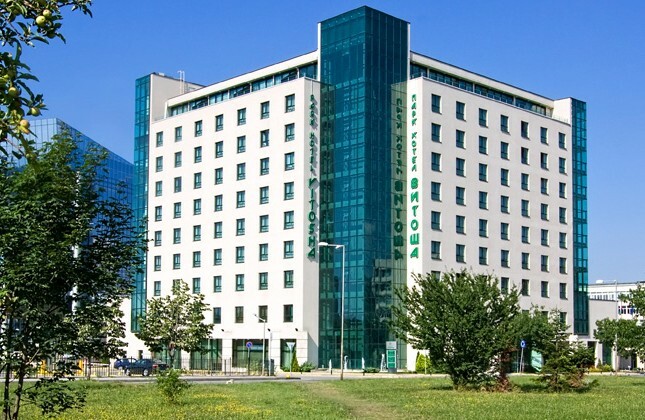 VITOSHA Park Hotel**** offers a unique business style and exquisite atmosphere, professional service and correct attitude to its guests that they will feel even upon your first contact with the hotel. Situated in the greenest area of the capital, the hotel offers panoramic views from which you can enjoy the beauty of Vitosha Mountain. 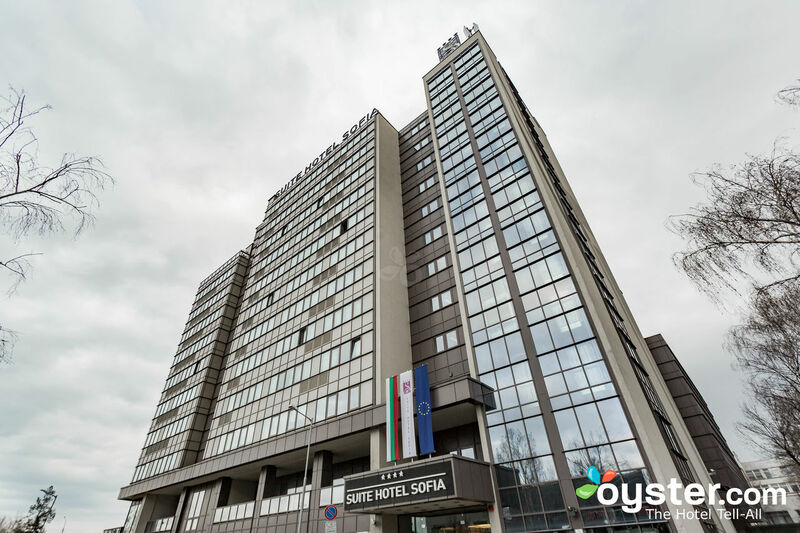 Vitosha Park Hotel has 173 rooms - single, double rooms with mountain view, one bedroom and two-bedroom apartments, VIP studios, VIP apartments and a modern conference center with 11halls, technically equipped. There is also a cozy Lobby bar, Conference Bar, Restaurant Toscana with 140 seats, VIP restaurant Pia monte with 40 seats, Luxury à la carte Restaurant, Grand Slam Bar and Dinner, Piano bar Vitosha live club and unique Vitosha Wellness Center. A team of professionals welcomes every guest with the desire to provide a complete and pleasant stay for him. For the VIP guests is the top floor with separate terraces and open view to the town and Vitosha mountain. 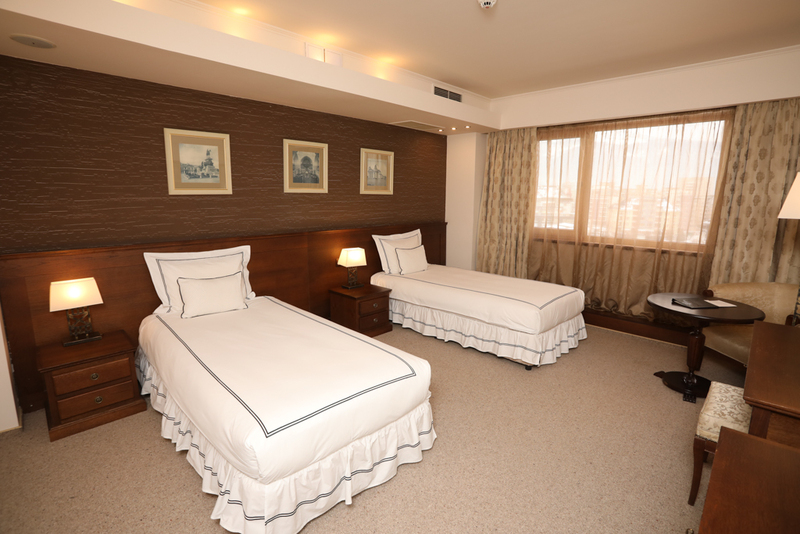 For quick access to the hotel rooms are provided two panoramic and one indoor elevator and two evacuation staircases. The interior in each category has its own concept and vision adapted for short stays or for long-term rental and designed for the different needs of individual guests, families or business groups. For the security of guests, access control systems are used. Additional services such as room service, laundry and dry cleaning, shuttle, rent-a-car, etc. are available upon request. In the price is included breakfast, use of indoor pool, fitness, parking and Wi-Fi. The room rate includes overnight, buffet style breakfast, insurance, city tax, kettle with tea and coffee facilities, in door parking lot, fitness center, free Wi Fi connection. 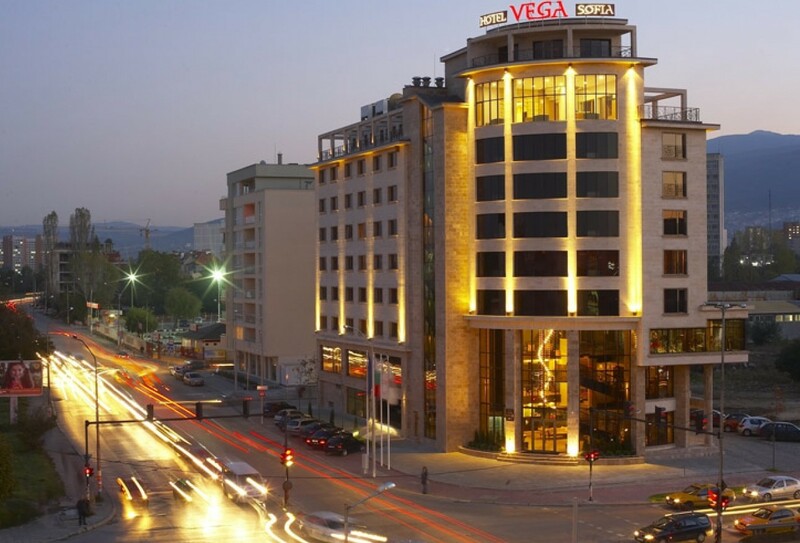 Exquisite and prestigious, Hotel VEGA Sofia will surprise you with an elegant style, luxurious interior and modern interpretation of classic elements. The hotel's 67 guestrooms and 10 luxury suites are unique in their design and decor, well-appointed in singular style created by leading Bulgarian designers. The rooms and suites are equipped with high-speed wireless Internet connection, direct telephone line; TV set (LCD) and rich in choice refreshment center. 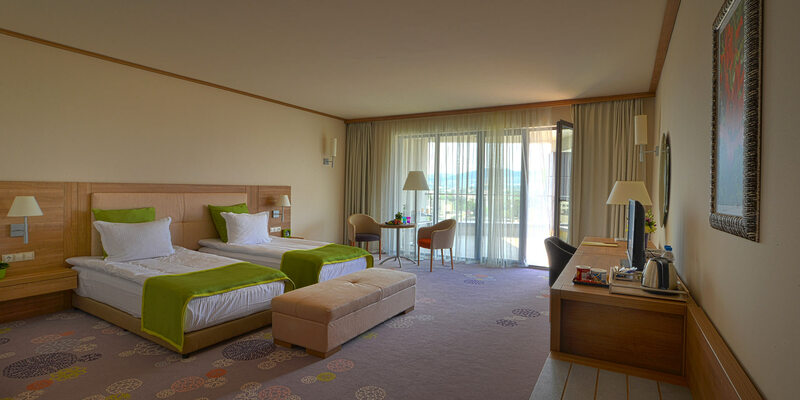 Individually decorated rooms are available with king size beds, size 190 x 200 cm, or twin beds, size 100 x 200 cm. The beds are equipped with top mattress with goose down and feathers for maximum comfort and a mat made of natural cotton. Sheets are luxurious 100% Egyptian cotton percale, with 450 threads per sq. cm, goose-down duvets and pillows from goose down and feathers, and at the request of guests can be provided with and anatomical, anti-allergenic or pillows made of cotton. The tranquil surroundings include photos from old Sofia, charming working desk and comfortable chair as well as high-speed wireless Internet, TV set (LCD), direct telephone line, safe-deposit box, in-room refreshment center, bathtub and hairdryer. 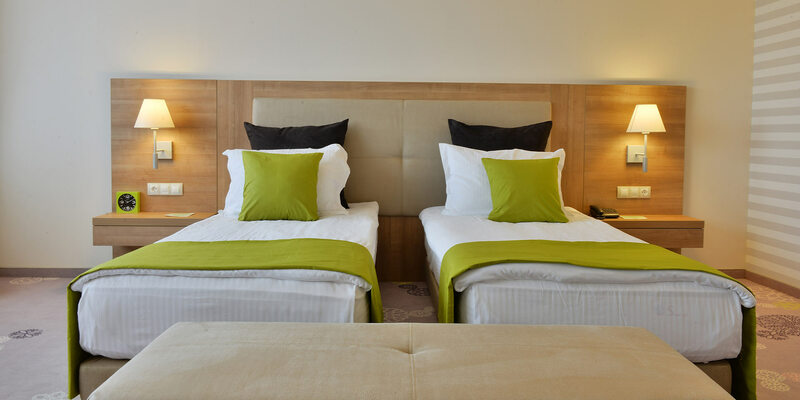 All equipped with coffee & tea maker, mineral water and hot drinks complimentary. Room size is close to 25 square meters. The room rate includes overnight, buffet style breakfast, insurance, city tax, 24-hour complimentary services: high-speed Internet, access to gym area and web corner, indoor parking. 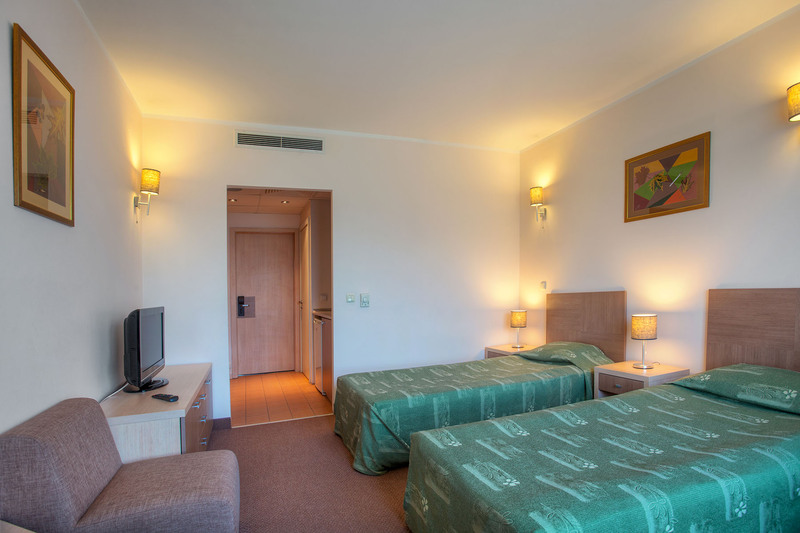 The hotel offers 122 extremely roomy (30-80 sq.m.) ateliers, studios and suites that are designed to the highest finish simply to make you feel at home. All of them feature large opening windows overlooking Vitosha mountain or nearby University park, wide LCD with satellite TV channels; safe, tea and coffee making facilities, in room minibar and room service are also available for more comfort.